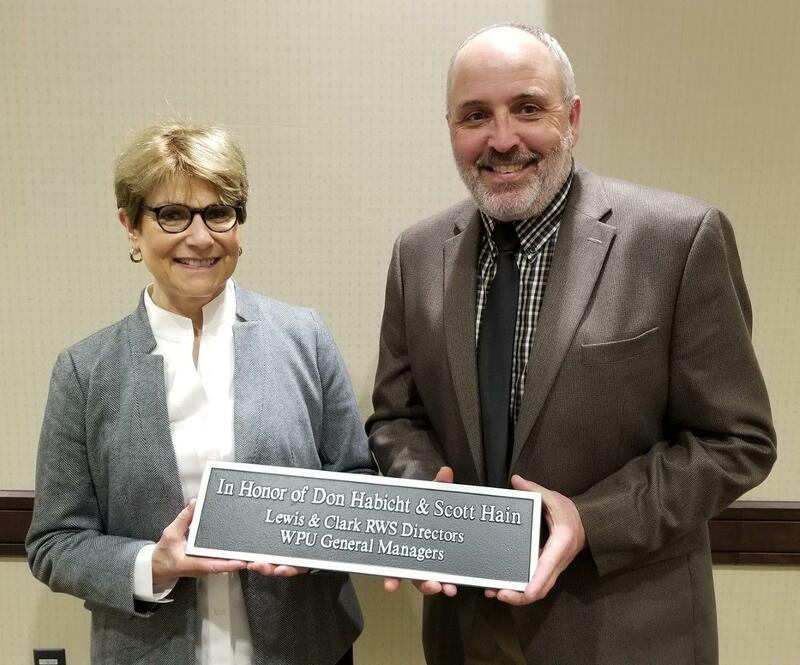 Lewis & Clark’s meter building in Worthington was dedicated in honor of the late Don Habicht and Scott Hain at a ceremony on December 12, 2018. Don’s wife Beth and Scott are shown with the plaque that will be affixed to the meter building at a ribbon cutting ceremony this spring. Don was the long-time manager of Worthington Public Utilities and served with great distinction on the Lewis & Clark Board of Directors for 16 years. Scott is the current manager of Worthington Public Utilities and has served with great distinction on the Lewis & Clark Board for 13 years. Both made many trips to meet with state and federal officials to advocate for the project. Congratulations to Scott Hain and the late Don Habicht on this well-deserved recognition!